The Economic and Financial Crimes Commission (EFCC) will this week begin investigation into allegations of financial impropriety leveled against the embattled national chairman of the ruling All Progressives Congress (APC), Comrade Adams Oshiomhole, and his Chief of Staff, Abbas Braimoh. Speaking at the weekend, a member of the party’s National Working Committee (NWC), who spoke on condition of anonymity, said the anti-graft agency will invite Oshiomhole for interrogation over the allegations as they constitute financial crime. According to him, there were series of petitions forwarded to the anti-graft agency by some aggrieved stakeholders of the party following the outcome of the just concluded primaries where it was alleged that Oshiomhole allegedly collected bribes to award the party’s tickets to the highest bidder. “From available information, I believe the EFCC is looking into the matter and the national chairman and his Chief of Staff may be invited this week. Aside the DSS, some aggrieved members also petitioned the EFCC, alleging that the recently concluded primaries were marred by bribery allegations. “While many of the aspirants didn’t come out in the open, we have seen people like Osita Okechukwu, the Director-General of the Voice of Nigeria (VON), who pointedly accused Oshiomhole of corruptly enriching himself through the primaries. He also urged the DSS and EFCC to immediately probe the call logs of Oshiomhole. “So, I believe the EFCC will begin its probe this week. Those who wrote the petition will be made to present their facts while the national chairman will defend himself”, he said. “What happens, thereafter, will determine the fate of the national chairman”, he noted. On whether President Muhammadu Buhari will not intervene just as he was reported to have done when Oshiomhole was grilled by the DSS, another source in the presidency said while he was not aware of the EFCC case, the president will not intervene if indeed Oshiomhole is found guilty. “I don’t think the president will shield him or prevent EFCC from doing its job. If you know, the president has always given the EFCC a free hand to investigate anyone no matter how highly placed. The president will not stop EFCC from doing its job. “Remember, the general election is just few weeks away and one of the campaign promises is the fight against corruption. So, how can it be said that he is shielding the national chairman of his party from being investigated? If he does that, the opposition will latch on to that and it will not do his image or the party a lot of good. “If the president decides to investigate the DSS saga, that is understandable based on reports that the DSS asked the national chairman to resign. It is not their responsibility to do that since he was elected by members of the party. If found guilty, the DSS should come out and say so and allow the party do the needful”, he said. Efforts to reach the EFCC and Oshiomhole proved abortive as calls and text messages sent to their phones were not answered as at the time of going to press. 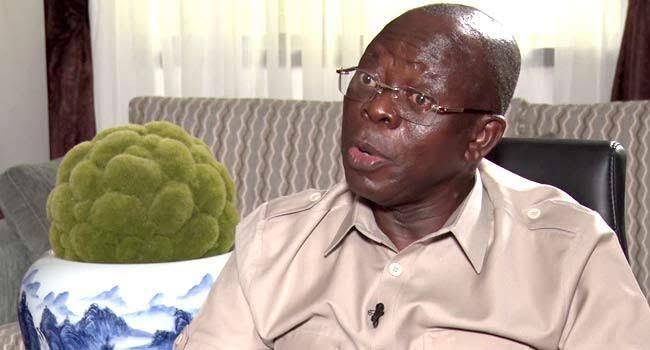 Oshiomhole, who had earlier addressed the media at the weekend, had denied collecting money from anybody to favour them at the primaries, saying if it has to do with money, the governors, who are making the allegations, are better placed to do such. Also speaking on his invitation by the DSS, he stated that if it is about corruption issue, there won’t be need for intervention of the agency, but the EFCC. “Let me tell you, I’ve heard some people talk about bribe and Imo State. I’ve looked round and I’m asking myself, who, in Imo State can afford to bribe me. He also denied reports that he met with National Leader of the APC, Asiwaju Bola Tinubu, in London over his interaction with the DSS. Oshiomhole, who spoke to reporters in Benin City after attending the interdenominational service to mark Governor Godwin Obaseki’s second year in office, explained that there was no reason for him to go to London to see Tinubu when he could easily see him in Lagos. The former Edo State governor said he has unhindered access to the Presidential Villa to see the leader of the APC, President Muhammadu Buhari. According to him, “What am I doing in London? Why should I go to London to see Tinubu when I can see him in Bourdillon? “What are the issues between him and me that we are to resolve in London? The leader of the party which is President Buhari, I have access to the Villa all the time. I don’t need to go to London to see my leader through the Queen. Speaking about the grievances of some aspirants, Oshiomhole urged them to learn from President Buhari, who contested for the presidency three times without losing hope. He said there was no way he could make all the contestants win at the primaries. 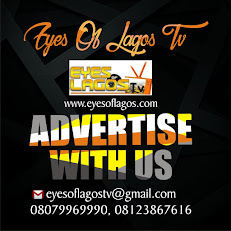 Reacting to the issue, the Peoples Democratic Party (PDP) challenged Oshiomhole to come out clean on whether he actually collected money to favour some aspirants in his party or not instead of avoiding the issue when quizzed by journalists. Kola Ologbondiyan, the party’s National Publicity Secretary, in a chat said Oshiomhole should tell Nigerians whether he actually received bribes from APC aspirants or not. “If you went through everything the national chairman of APC said about his invitation by DSS and his interactive session he deviated from the fact of the matter. What are the facts of the matter? “The fact of the matter was that he was invited and investigated on issues bordering on malfeasance and corruption. During his interview with journalists, Oshiomhole tactically avoided the questions posed to him about corruption. “The position of PDP is very clear. We believe that the DSS invited Oshiomhole particularly on issues bordering on corruption. He should address that corruption issue and tell the media the truth. Until he does that, everything he said is secondary. It is of no bearing and does not matter to the issue at stake. “The issue at stake is: did he collect money from aspirants seeking the partly’s ticket or not and gave the ticket to the highest bidder? This is a clear case of corruption if true and if the EFCC has taken over the case, to us in the PDP, it is a welcome development”, he said.